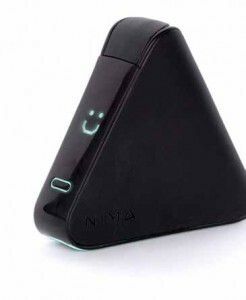 A San Francisco-based tech company, 6SensorLabs, has developed a portable gluten sensor. The device, called Nima, is designed to allow users to test a sample of food for the presence of 20 parts per million or more of gluten. Users pop a sample of food into a disposable capsule, screw on the cap, place the capsule into the device, then wait about two minutes. A smiling or frowning face reveals whether the sample in question meets the less than 20 ppm standard the Food and Drug Administration has set for gluten-free labeling of packaged food. A free Nima app for smartphones will allow users to share their findings and search for other users’ reported results. A proprietary immunoassay detects the gluten content of any kind of food, according to the company, which is seeking third-party validation for the device. Prior to the sensor’s debut, the company is also comparing its test results of samples of packaged and restaurant food to results from samples of the same food being tested by established companies using validated methods. The device, which is expected to be released in mid-2016, sells for about $200, and a 12-pack of the required one-time-use capsules is priced at about $60. Time magazine named the sensor one of the best inventions of 2015. The company is developing versions to test for other allergens as well. Once the device enters the market, consumers will have to figure out whether its technology is practical, especially in one of the trickier areas of being gluten free, dining out. The company suggests asking restaurants for samples before ordering a meal and using results to determine what might be safe. It remains to be seen how effective this approach will actually be and whether restaurants will cooperate. And Nima can only test the sample in question, which may not reflect the gluten content of your whole meal. For now the best defense against accidentally ingesting gluten remains doing your homework. Yates was an MBA candidate at MIT’s Sloan School of Management when she first started thinking about developing the sensor. But a risotto ball is what launched the idea. Conveniently she also happened to be standing next to a friend with a Ph.D. in chemical engineering. She asked him how hard it would be to test food for gluten. “He said it would be difficult—but do-able,’” she says. Learn more at nimasensor.com.